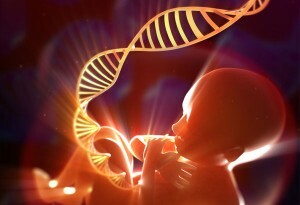 Data from noninvasive prenatal testing for fetal trisomy (condition that can cause Down Syndrome) was used by scientists in order to determine and predict past and present characteristics of people in China. The testing analyzes free floating bits of fetal DNA in the mother's blood. This test occurs in China and costs only $100 compared to high quality, whole genome sequencing which costs $1,000 per person. Using the cheaper testing method came with a cost by covering only 10 percent or less of the person's genome, while the more thorough test covered 80 percent or more. Designing custom software and using heavy computations and statistics made up for the leftover analysis. The resulting data represented nearly every Chinese province which eclipsed many genome-wide studies which include only tens of thousands of participants making this the largest scale genetic study of Chinese people. A total of 141,431 individuals participated. Some information they reported included data showing that more northern than southern Chinese populations contain a mutation of FADS2, a gene involved in metabolizing fatty acids, which indicates a diet richer in animal content. This helps explain the type of food that they eat in their area based on their resources and climate. Also, DNA that was not aligned to the human genome against a database of viral sequences were found in order to diagnose viruses, most commonly identifying hepatitis B and other viruses that can affect pregnancies. In addition, 48 gene variants associated with height and 13 with body mass index were collected by analyzing the height and body mass index of their samples. Doing this reveals associations between genes and specific traits through noninvasive pregnancy testing. This data collection on evaluating prenatal testing is still moving forward today for more than 3.5 million Chinese people. This type of research seems very promising and intriguing to me as they can continue this type of data analysis for other races, not just Chinese. Since I am Filipino, I'm hoping they can expand their data collection in the Philippines so I can learn more about genetic characteristics and their history. Each race should receive this type of testing which can lead to predictions in human traits of fetuses.